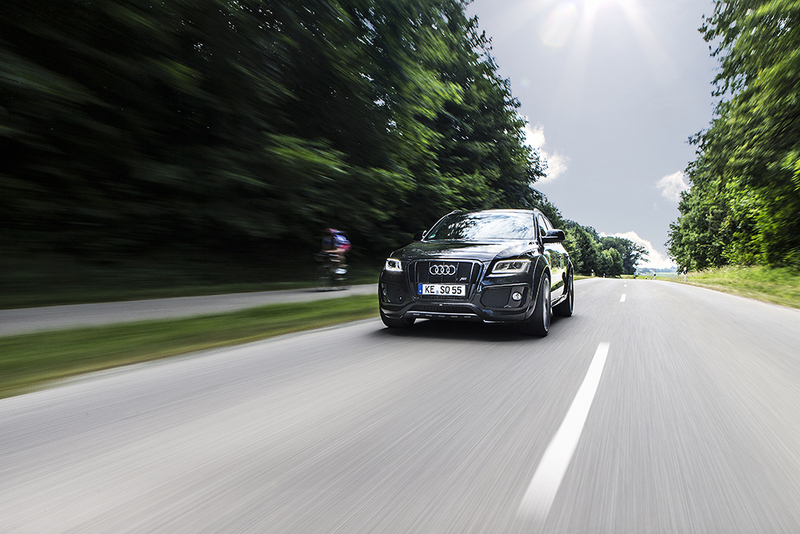 Prior to the 2012 24 Hours of Le Mans endurance race, Audi introduced its high-performance SQ5 TDI crossover SUV. 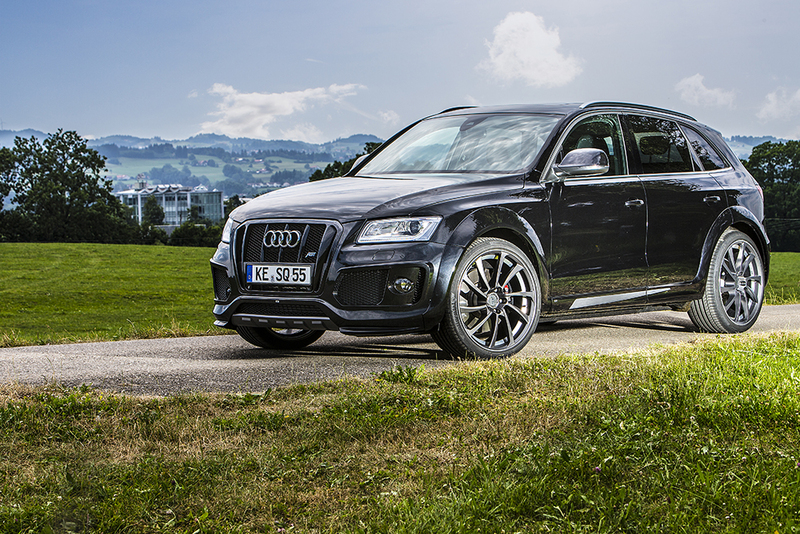 The new performance variant of the Q5 celebrated the success of the diesel-powered Audi race cars at the French racetrack. Now that the SUV has hit the streets, the team at ABT Sportsline has unveiled the ABT SQ5 TDI upgrade package that is even more fun than before. 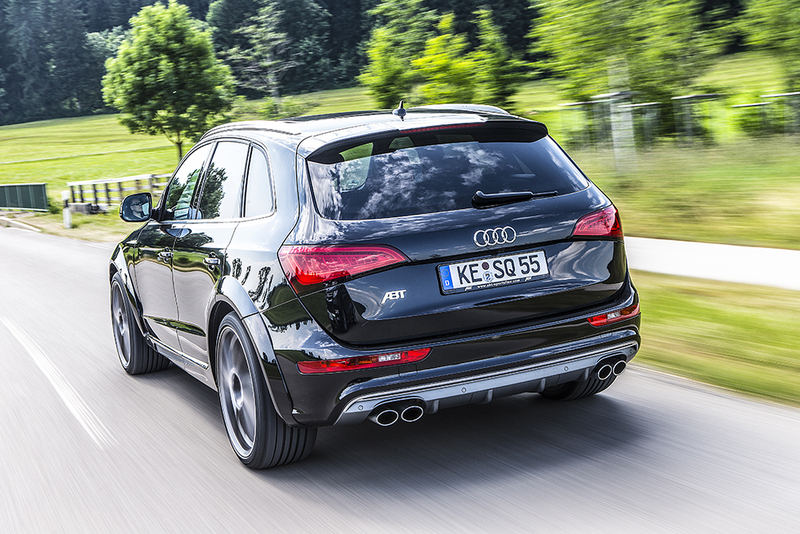 Right from the get-go, the ABT SQ5 TDI is meaner and beefier, and commands attention on the road. A dramatic grille with five vertical bars and company logo stares ahead, beneath which sits a new skirt that includes a larger set of air intakes and a dynamic lip, to give the crossover a new face. The visual power doesn’t end there. The front and rear fenders receive a shot of testosterone in the form of larger extensions and door strip attachments. At the rear is a new wing spoiler that helps to generate downforce for better stability. Hidden inside those muscular fender extensions is a more proficient suspension. The ABT SQ5 TDI was outfitted with in-house suspension springs that lower the overall ride height of the Audi for a better center of gravity. 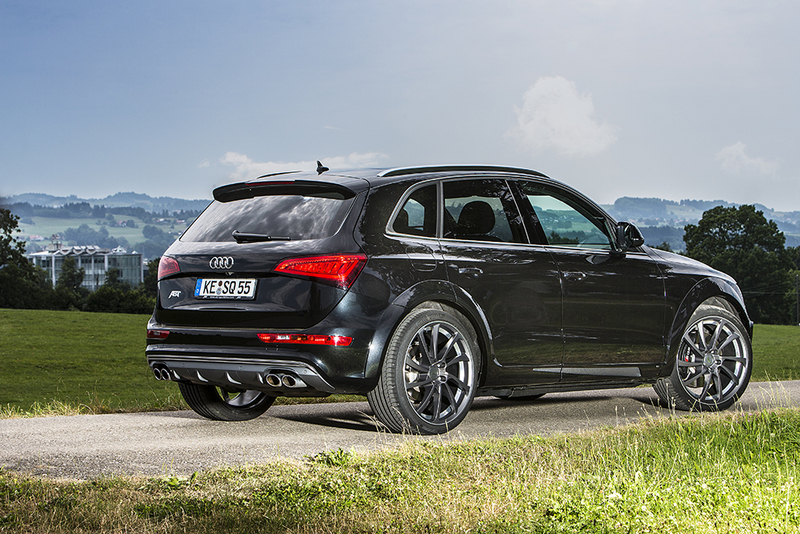 ABT Sportsline offers a wide range of wheels for the Audi SQ5 TDI. 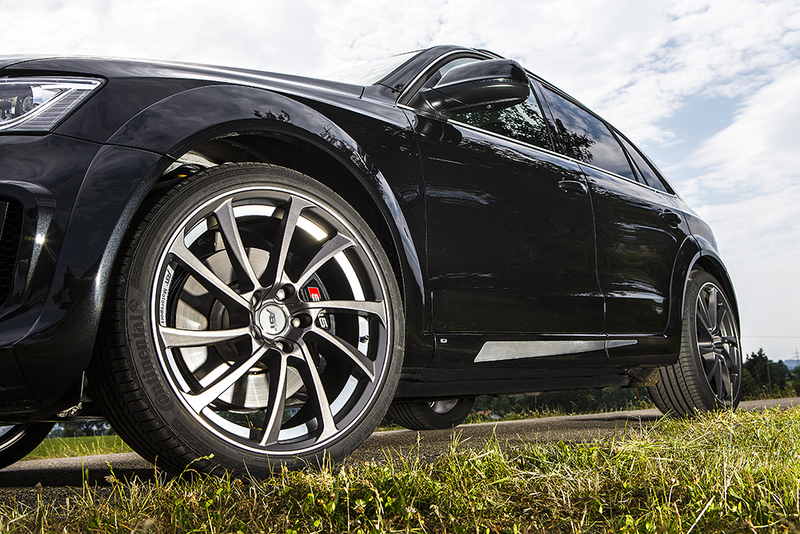 Customers can choose from the CR, DR, and ER-C light alloy wheels in 20 to 22-inch diameters. The featured ER-C wheels sport a five double-spoke design where each spoke is slightly bent to create a turbine-style shape. While the new looks and ride of the ABT SQ5 TDI may be exciting but the real fun sits beneath the hood of the performance crossover. 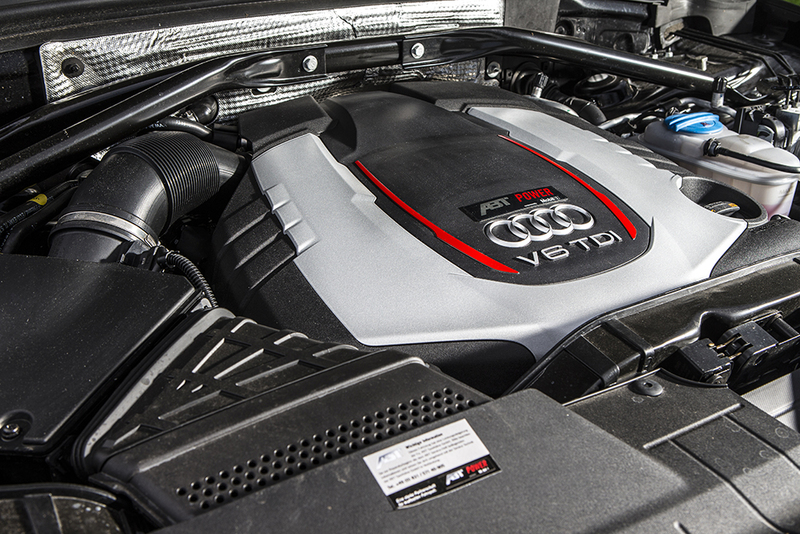 The factory 3.0-liter V-6 TDI engine cranks out quite a bit of torque for a while lot of get-up-and-go. But the ABT Sportsline team installed their custom-tuned upgrade package for the diesel engine, pushing output all the way up to 360 horsepower and 516 lb-ft. of torque. 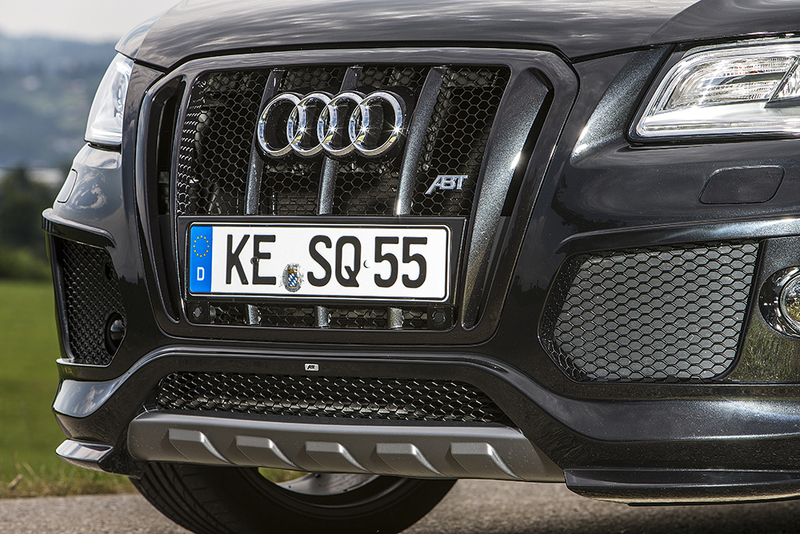 The ABT SQ5 TDI is currently available to all owners of the Audi SQ5 TDI, not to the gasoline-powered SQ5 models. Pricing for the package and individual accessories has not been released. Is the ABT SQ5 TDI the ultimate crossover SUV?